The kayaks we use in our fleet are super stable and rigged for your convenience. You will be very comfortable in the kayak. What is the duration of a day trip? Up to six hours. But, We have been known to stay out longer if the fishing is really good and also at the customer's request. While most kayak fishing trips range from $175 to $500 for one day we only charge $100 for a half day and $150 for a full day. I have never paddled before. Is it difficult? While there is a learning curve if you are a beginner, paddling a kayak is pretty easy, especially if you have done some paddling in a canoe. We will give all the instruction on how to properly paddle and handle your kayak. Can we fish for a specific type of fish like catfish? Yes. Just let us know what you want to do. This is your trip and you are the boss. 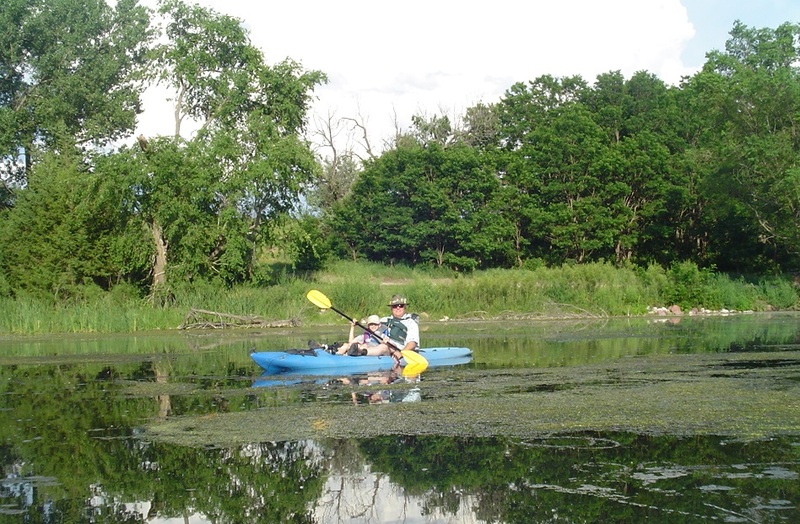 We like to fish Lake Wanahoo, Branched Oak, Wildwood, and other local lakes around Lincoln and Omaha, Nebraska. While we practice catch and release, you can keep a fish as long as it is in accordance with Nebraska law. If the weather is not cooperative the day of the trip, We will give you the option of selecting another day to do the trip or a refund. While getting skunked on our trips is a rare occurrence, it can happen. We do however guarantee a good time and you will learn a new skill.